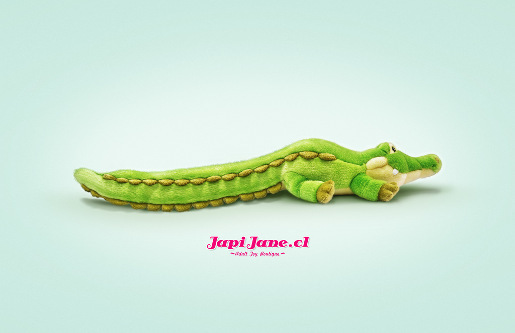 Japi Jane, an adult shop in Chile, has worked with TBWA to produce a set of print advertisements featuring three soft stuffed toys, a pink elephant (elefante), a green crocodile (cocodrilo) and a colourful toucan (tucan). 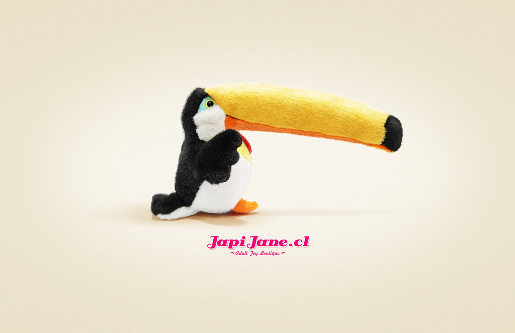 The campaign won a silver award for graphics in entertainment, gaming and leisure in the X Festival de la Publicidad ACHAP, the advertising festival held by the Chilean Association of Advertising Agencies in 2009. 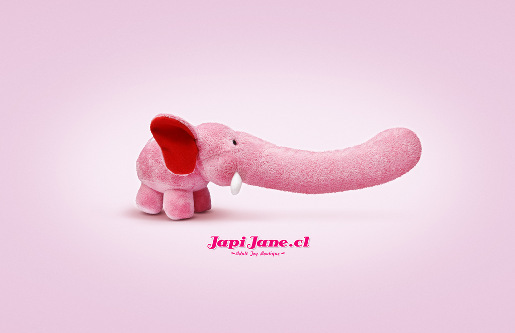 The Japi Jane campaign was developed at TBWA\Frederick, Santiago, Chile, by executive creative director Pablo Leiva, art director Daniel Daniel Cáceres, copywriter Kote Kaid, illustrator Osvaldo Salazar, photographer Cristián Costa.